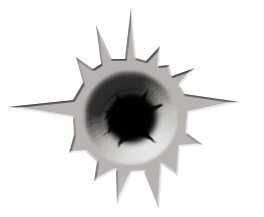 I found the two python plugins on Carol's GIMP site (now a dead link), but while editing the py files, I learned they were created by Adrian Likins. Apparently, they were for the Linux OS because when I installed them, they tossed a $HOST error (file or directory not found). 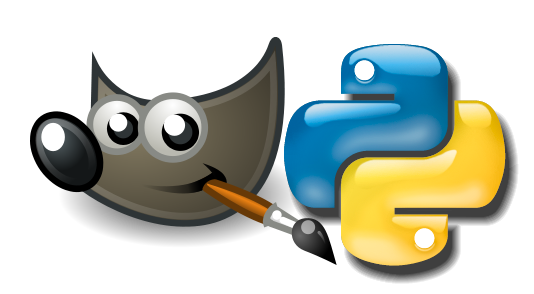 I know absolutely zero about the Python language, and wasn't getting much help from anyone on the web, so I decided to find the solution myself. After reading through numerous pages of the Python Developer website, I learned (after hours of frustration, and a lead from Adrian) that the path function was conflicting because it's written for the Linux OS, and not Windows. My next step was in finding out what the correct Windows path function was (I didn't have a clue, so I tried them all, hahaha). None worked. I was just about to give the plugins up when something prompted me to revisit the Python Developer website and search for the WINDOWS path functions, something I had failed to do the night before. Not only did I find the correct path function, I learned why my Windows variable changes weren't working in the old string. They were deprecated! Gah! I may not know Python, but I do know "deprecated". Toiling around in GIMP scripts has taught me that progress comes with a price, strings and variables are eventually changed and we need to adapt to those changes. Anyway, a LONG story short, the plugins now work in GIMP 2.6.7, using Vista. Windows users are encouraged to download them at the Gimp Registry, here. 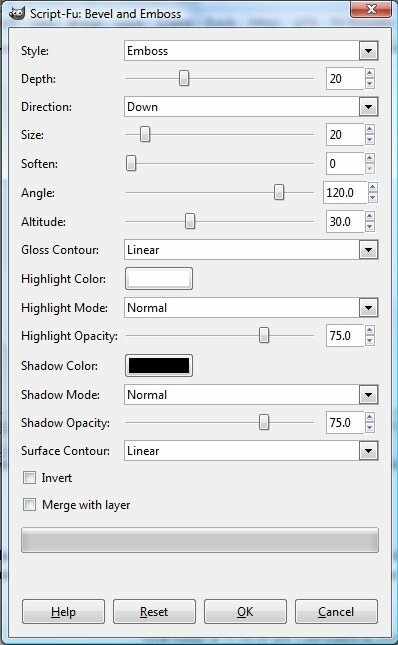 One last reminder: when creating new brushes from fonts (webdings, zingbats, etc) save them LARGE in size, about 250px or so, then reduce the size in the Brush tool dialog when using them. This helps retain their crisp edges. Saving small font brush sizes will only get fuzzy when enlarged. Additional info: I emailed Tanda, who created a brilliant "Edit Brushes" Python script for GIMP, and he advised me to yet another method of resolving the path function. You don't need to make any changes to the modified scripts as they are now, this information is just an additional method of getting a Linux script to work in Windows. Tanda said to replace this function brushdir = "%s/.gimp-%s/brushes/" % (os.path.expandvars("$HOME"), get_gimp_version()) with brushdir = pdb.gimp_gimprc_query("brush-path-writable") I tried using the new function and it does work. Enjoy! Step 5: Add a new layer with transparency, highlight the layer and select the Quick Mask tool or Shift + Q. The layer should now have a red film over it. 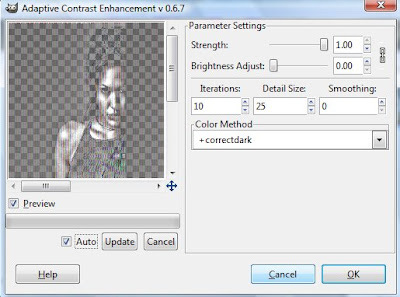 Set the foreground color to white and select the Airbrush tool. Color in the body of Angelina in using white. It doesn't have to be perfect, just get it as close as you can to the edges that don't have a lot of white in the invert image. If you mess up, use black to retouch those areas. It won't actually paint the colors, it will show the red film being erased or re-added on the layer. 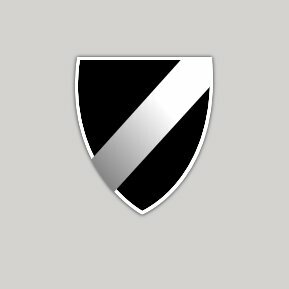 White = full transparency (see through) and black = full opaque (not see through) in masking terms. Step 6: Once you are done filling in the body area, like shown above, press Shift + Q again to deselect the mask and you'll now see the red film gone and a selection (marching ants) around Angelina's body. Some people can use the Free Select tool and outline the body much faster than others can use a quick mask and get the result you see above. I have better luck with the Quick Mask simply because I can stay away from trying to "outline" the hair strands, since they show as white on the inverted image. The goal with Quick Mask is to create a quick outline to fill with white, not to achieve a perfect outline of the entire body. Step 8: Merge the top layer down over the middle layer. We will use the merged layers of black and white as a mask. With the merged layer selected (highlighted), Select - All, this should give you marching ants around the border of the merged layer. Then select Edit - Copy. 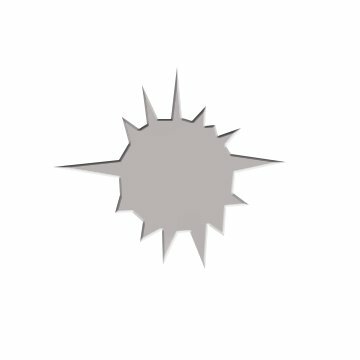 What this is doing is making a copy of the mask to the clipboard so you can paste it as a layer mask on the original image layer below it, but we have to create the layer mask on the original image layer below it, first! 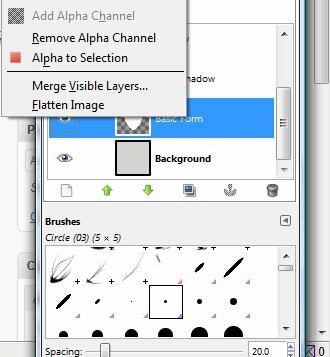 Select (highlight) the original image layer at the bottom of the layers dialog, right click the mouse and Add Alpha channel. Click right again and add a layer mask. Press CTRL+V (Edit / Paste) then right click on the newly created Floating Selection layer and select Anchor layer. You should the see the result of your work now by clicking the eye on the top layer. Add any background image you want, by adding a new layer, moving the original image with the layer mask above the background layer. REMINDER: Don't forget to SAVE your original mask layer image as a *.xcf file so you can re-use it again and again. Anyone who keeps up with my site knows that I search for GIMP tutorials to practice with, and sometimes an existing tutorial will throw us through a loop, and we'll get stuck. 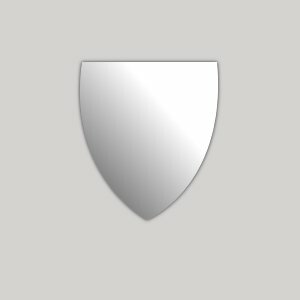 Older tutorials like this one found at GimpUsers.com are sometimes abandoned by the author. 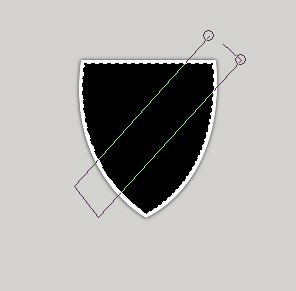 This particular tutorial is for the creation of shield symbols. This is in no way a discredit to Mike (the author), but merely a help guide to those of us who got stuck while following the tutorial. Click on the "tutorial" link above and print that tutorial out to help you follow along with the steps I provide here. First things first: I am using GIMP 2.6.6., are you? If not, you might want to upgrade before starting. Since Step 6 is where it all "sort of" fell apart for me, that is where I will begin here. By Step 6, you should have 3 layers, named Background, Basic Form, and Drop Shadow. See the highlighted blue area? Right click there and you'll see the right context menu as shown in the picture above. 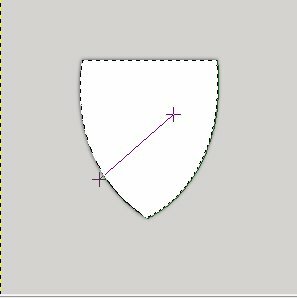 Once you select "Alpha to Selection" and it now has marching ants around the shield area, then highlight the newly made "shadow" layer above the Drop Shadow layer. I actually only needed to reduce my opacity level of my shadow layer to 50%, not between 10% and 30% as indicated in the tutorial. This is the result of 50% opacity (shown above). 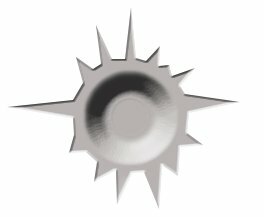 Step 8 is basically a repeat situation of Step 6, only this time, instead of creating a shadow, you're going to add some form to the shield. Add a new layer, name it Form. 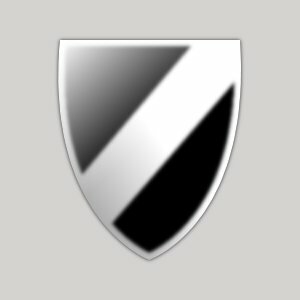 Are your ants still marching around the shield? Mine are. If you already have a selection (marching ants) just select (highlight) the Form layer. If you don't have a selection (marching ants) you'll need to highlight the Basic Form layer again, right click it, and select "Alpha to Selection" then select (highlight) the new Form layer. Fill the selection on your Form layer with white first. Then shrink (Select - Shrink) the selection by 3 pixels, and fill the newly shrunken selection with black. I followed Step 9 as indicated, only when removing the white, the steps for that is Colors - Color to Alpha (make sure the color white is selected in the menu that pops up). The latter part of Step 11 didn't work for me, no matter what I did to get the Blend (angular shaped) to work with a black mask layer, it turned out crappy looking, so I improvised and skipped Step 11, as well. 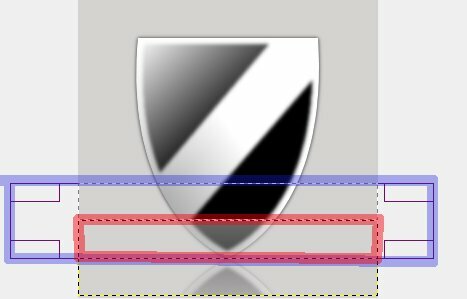 The blue line is the Rectangle Select tool area, and the red line is the area we are trying to remove from the Reflection layer. Once you select the top half of the layer (as indicated) press the Delete button. Step 14 involves adding text, and was simple enough to follow. No changes were required there. 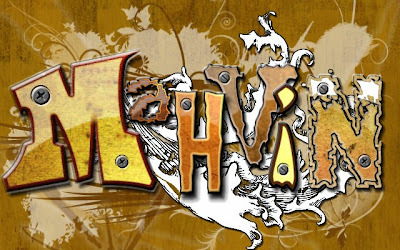 But do take note that Mike is speaking of using the Drop Shadow script in the Filters - Light and Shadow - Drop Shadow selection. NOT the drop shadow under Layer Effects. When you are done, save the file as an *.xcf file. You're probably thinking, "What about changing the color? What happened to that step?" I didn't forget, honest. As long as you have the *.xcf version of this file, all you have to do to change the shield color is simply select (highlight) the Form layer and select Colors - Colorize. On the Colorize menu, moving the Lightness slider up a few digits past zero, first, will allow you to notice the color changes with Hue and Saturation more quickly. If you want any text to change to the same color as the shield, you will need to highlight the text layer and apply the same exact Colorize settings there as well. Highlight the bottom background layer and using the Bucket fill tool, fill it with a medium gray color. 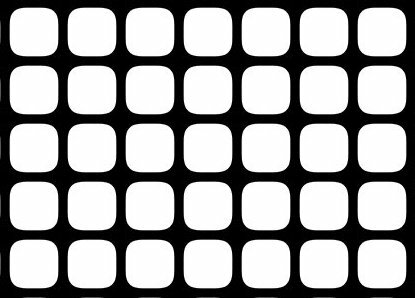 Bump map images tend to play tricks (optical illusions) on our eyes, if you try looking at the new bump map image with one eye closed, and then switch eyes, you'll notice in one instance the squares are inverted down, and then with a different eye they'll be raised. I've heard this has something to do with which eye is the most dominant communicating with the brain. Whether that is true or not, I have no idea. 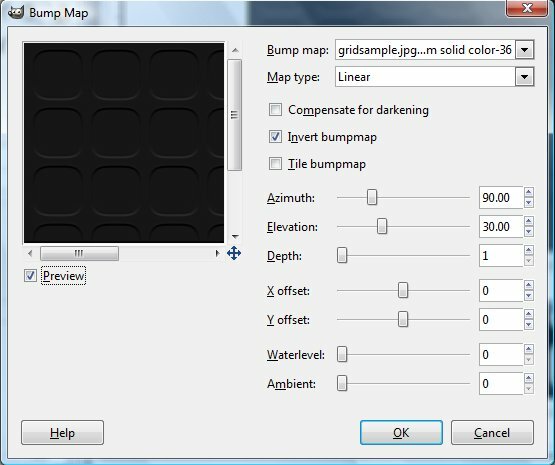 That's all you need to do to for bump map textures, but if you want to save it as a pattern, simply save it as a *.pat file and store it in your C:\User\<yourusername>\.gimp-2.6\patterns folder. 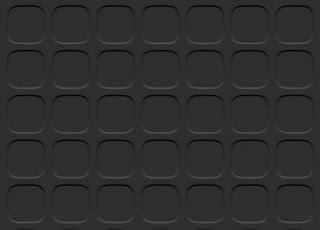 You can save the original Oh Waffle image as a pattern the same way, and use the Filter Forge bump map image as a top layer, just as this tutorial just explained. There is one nifty script for scaling patterns in GIMP that can be found here. 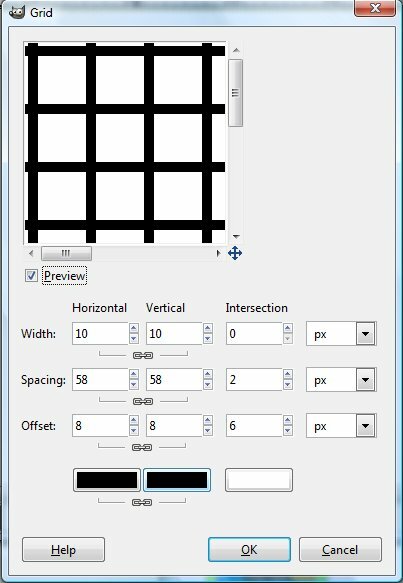 I use it quite a bit to help me resize pattern images to better fit my drawing size. After saving the script to the appropriate folder (C:\User\<yourusername>\.gimp-2.6\scripts), it works by right clicking on a pattern thumbnail in the Pattern dialog, and selecting "Scale Pattern". The slider bar indicates decreases the image to 20% and increases to 500%. For those who might not understand the way the scale slider works, the bar on 100% would represent your image, as is, it's original size. Anything under 100% will decrease the scale, anything over 100% will increase the scale. Hope that helps. I spend a great deal of time online searching for and testing GIMP tutorials. Not because I want to bring something back and make a tutorial out of it, but because my mind, being like a sponge, always seeks the best way or best technique to use GIMP, Paint Shop Pro, or Photoshop. 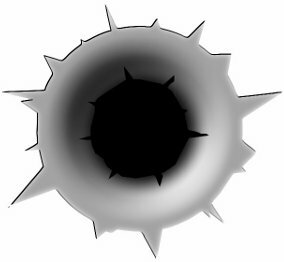 Fortunately, I ran across a GIMP tutorial that is a translation of one done in Photoshop. 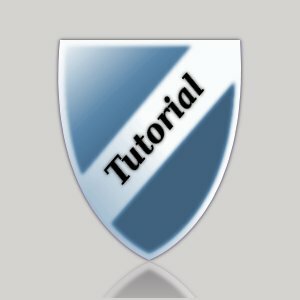 Now, let me say that both tutorials are extraordinary, with awesome tips and techniques. If you want to check them out, click here (thanks sglider12!) for the GIMP version, and here (thanks Alex!) 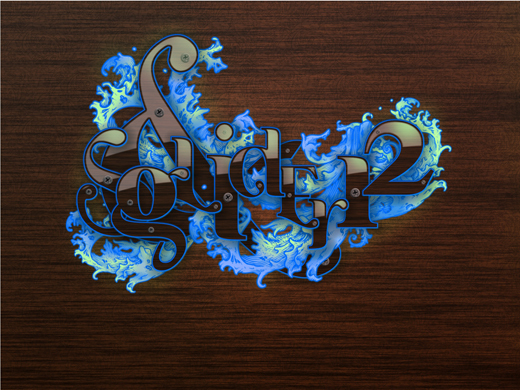 for the PSD version. 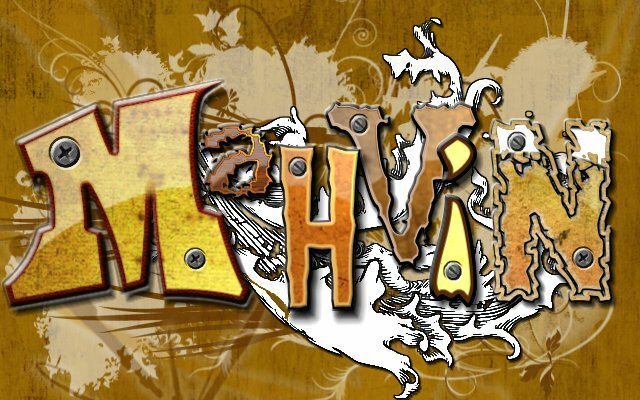 If you're interested in knowing what fonts I used or what steps I did differently, leave a comment. 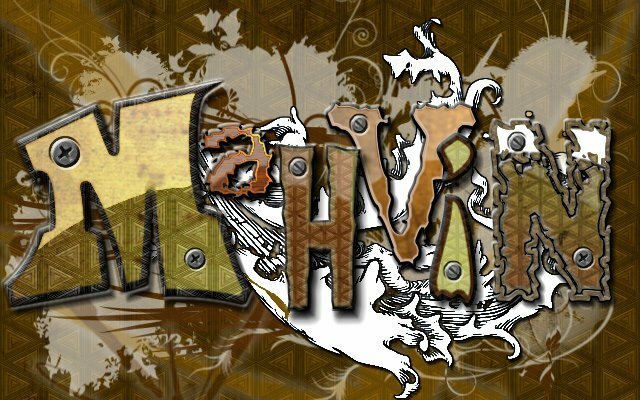 For the most part, I followed the GIMP tutorial, but left a few steps out because I ran out of time. There is nothing wrong with not following a tutorial completely. I personally encourage everyone to make designs their own, by tapping into their creative side, and using a bit of imagination. I do recommend that you try to follow the original tutorial as close as you can a few times before striking out on your own, just so you can get familiar with the effects and scripts used. After you get those down-pat, take the ornate to a whole new level. Have some fun! The Layer Effects under FX-Foundry won't work in this case (I've already tried it, unsuccessfully.) So you will need to go to the GIMP Registry site and download the correct version of this script, found here. Once you have saved the script, you'll need to check to see if its loaded and then test it. Open GIMP and check under Script-Fu on the menu bar. 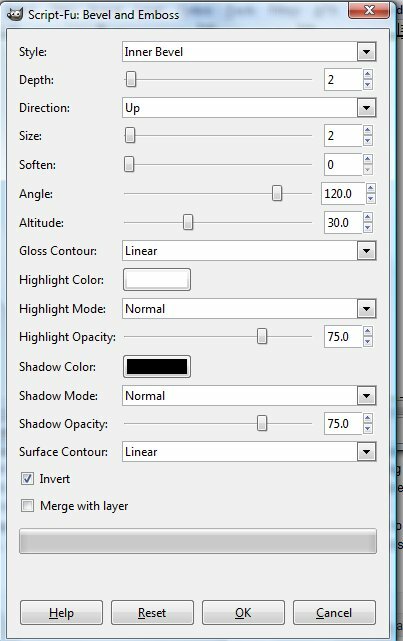 Do you see Layer Effects listed? If you do, open a new drawing (any size). If you don't, check to see if "layerfx.scm" is in your scripts folder (see directory string above). The Layer Effects require that any selected image be on a "layer". So, add a new layer to the drawing. 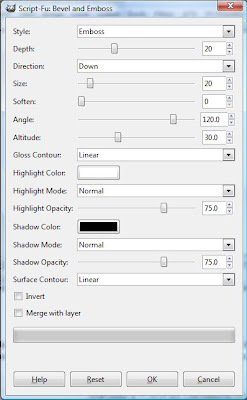 Use the Free Select tool (Lasso) to draw out a selection, then visit Script-Fu - Layer Effects on the menu bar. 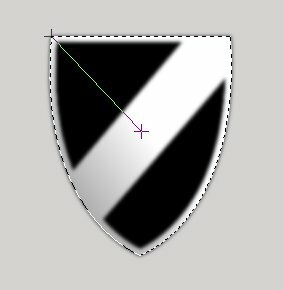 Are the Layer Effect options greyed out? 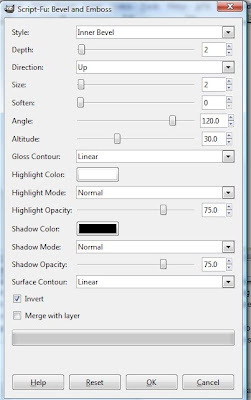 (Double check that you have a layer selected or highlighted). If the options are available, you're in business. Open a new drawing 360 x 360, white background. Add a new layer. 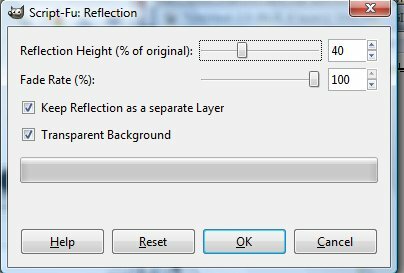 With the new layer highlighted, select the Ellipse Select tool and tick "Expand from Center" and "Fixed: Aspect Ratio" in the tool options. 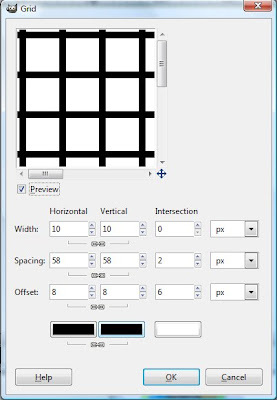 Drag out a circle about 115 x 115 pixels in the center of the drawing. It's not perfect, but the idea is give it a "shattered" look. Close the selection but clicking the first point you started with. Set the foreground color to a mid gray color, select the Airbrush tool and paint the entire "star shaped" area. Leave the area selected with the "marching ants". Remember the Layer Effects mentioned above? 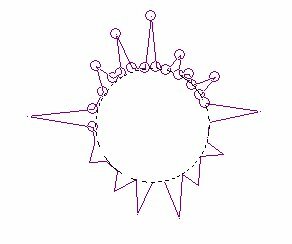 We're going to use those effects now to give this star shaped area a blasted paint look, mimicking a cut-out dropped shadow. Go to Script-Fu - Layer Effects - Bevel and Emboss on the menu bar. 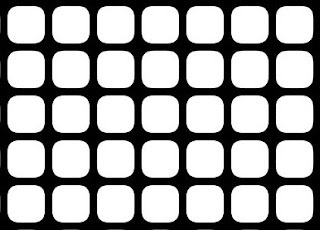 Select the Ellipse Select tool and drag a circle out about 70 x 70 pixels in size. 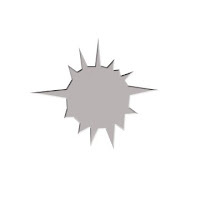 Center it in the gray star shaped area. Select the Airbrush and using the same mid gray color, paint in the circle on the new layer. Add a new layer. 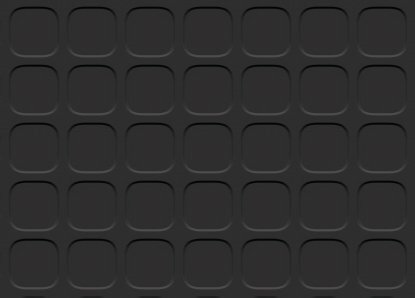 Using the Ellipse Select tool again, drag out a small circle and center in the middle of the embossed area. You might be asking, "Why not just just the Airbrush tool and paint in the circle with a circle brush?" The answer: because using the Ellipse Select tool allows you to set feathering at "x" amount of pixels, leaving a nicely faded or softened circular area, which is the look we're going for here. If you think the cracks and splits are too crisp or solid looking as you edit them, you can always soften the look using the Blur/Sharpen tool. 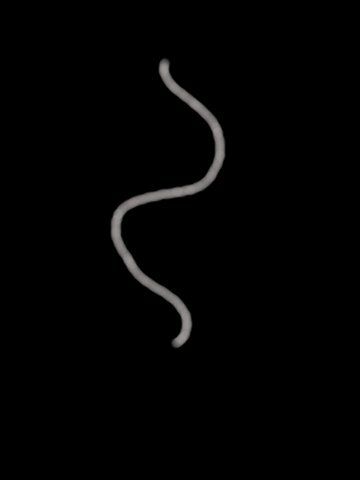 Open a new drawing (360 x 480) with a black background. Step 1: Using the Smudge tool, set its size to be double of the gray line you just created. Step 2: Slowly drag the Smudge tool upwards through the gray line, taking your time to cover the entire line. Then slowly drag the Smudge tool back down from top to bottom, intentionally going outside of the line. Practicing this technique often will improve the realism of the smoke wisp look.